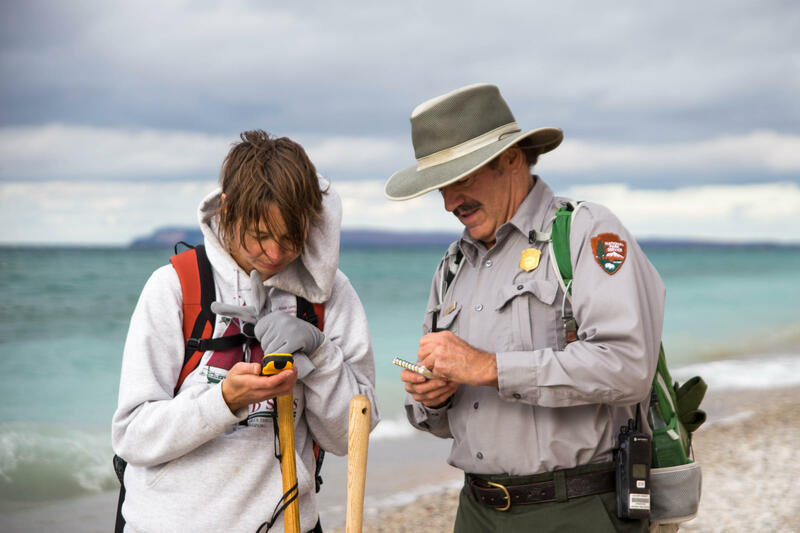 Dan Ray removes a dead bird from the beach along Sleeping Bear Dunes National Lakeshore. 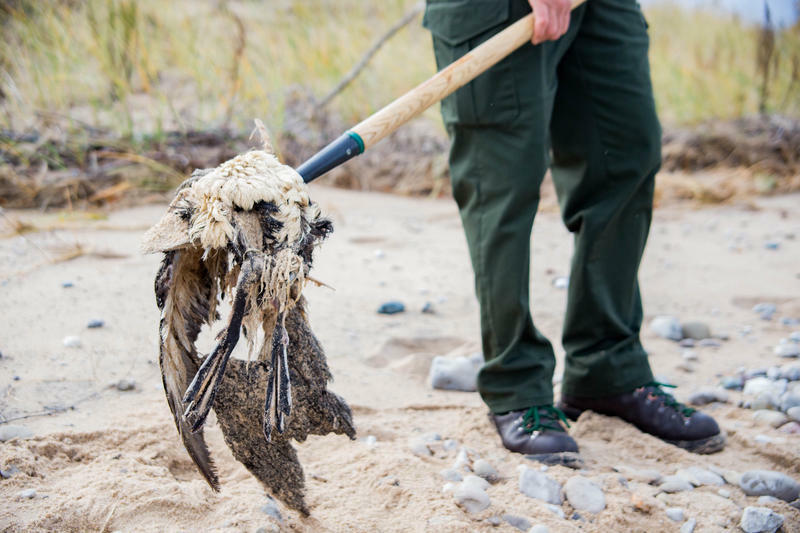 Since 2006, Lake Michigan has seen a steady stream of dead birds washing up on its beaches, and this fall has been exceptionally grim. So far, researchers and volunteers have found around 5000 dead birds along the shore. Williams (left) and Ray (right) make record of a dead bird. 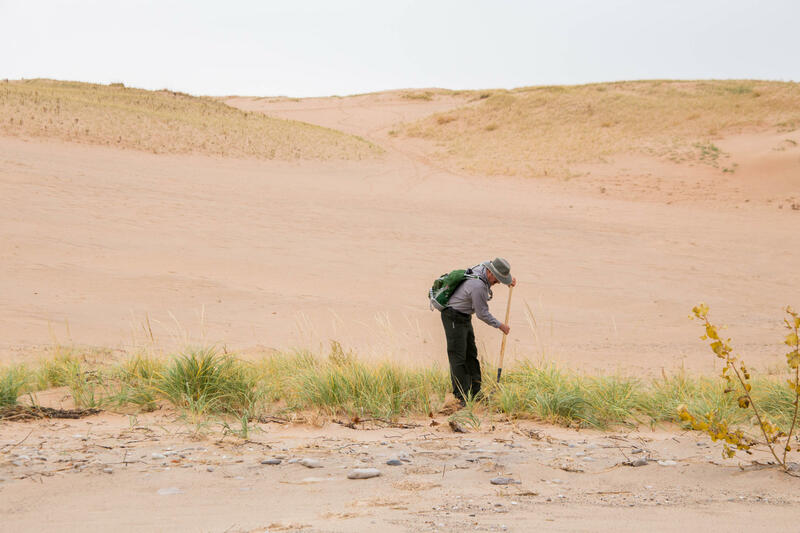 Ray buries a dead bird in the dunes. 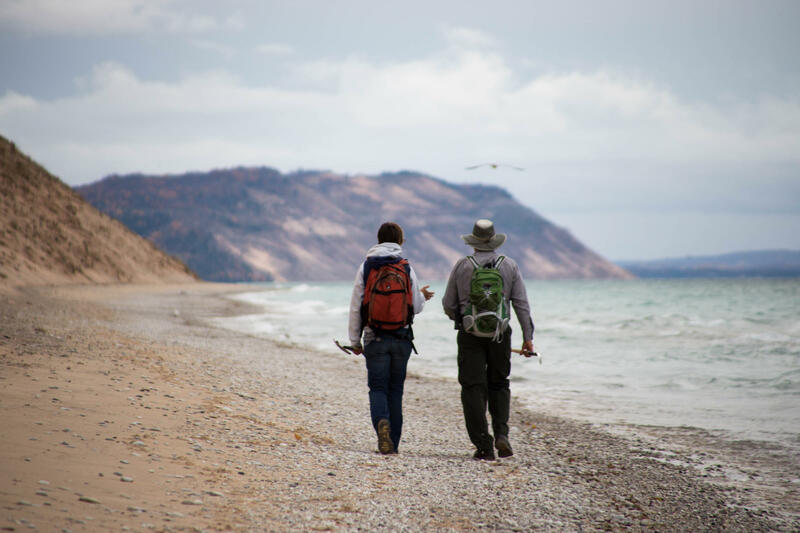 Ray and Williams walk along the coast at Sleeping Bear Dunes National Lakeshore looking for dead waterfowl.